For other people with the same name, see Amanat Ali (disambiguation). The President's Award for Pride of Performance is one of the awards conferred by the Government of Pakistan on Pakistani civilians in recognition of distinguished meritorious work in the fields of literature, arts, sports, medicine, and science. It has no particular official standing in the Pakistani civil decorations hierarchy. Asad Amanat Ali Khan (Urdu: اسَد امانت علی خان ‎), (25 September 1955 – 8 April 2007) was a popular classical, semi-classical and ghazal singer from Pakistan. Hailing from Patiala Gharana, Asad was son of musician Ustad Amanat Ali Khan. Asad Amanat Ali Khan died relatively young of a heart attack on 8 April 2007 in London. "Mitwa" is a popular Hindi song from the 2006 Hindi film Kabhi Alvida Na Kehna directed by Karan Johar, starring Shahrukh Khan, Rani Mukherji, Abhishek Bachchan, Amitabh Bachchan and Preity Zinta. The song is composed by Shankar-Ehsaan-Loy, while the lyrics are penned by Javed Akhtar the song was sung by Pakistani folk singer Shafqat Amanat Ali. Ramchand Pakistani is an Urdu-language Pakistani drama film directed by Mehreen Jabbar and produced by Javed Jabbar. The film features Nandita Das, Rashid Farooqi, Syed Fazel Hussain, Maria Wasti and Noman Ijaz in lead roles. The film is based on a true story of a boy who inadvertently crosses the border between Pakistan and India and the following ordeal that his family has to go through. Ramchand Pakistani was also released in India. Shafqat was introduced to Bollywood by Shankar Mahadevan. One morning while driving to his studio, he heard Shafqat's hit song "Aankhon Ke Saagar" on the radio. He immediately called the radio jockey who was his friend and got Shafqat's contact number. Shafqat sang "Mitwa" composed by Shankar Ehsaan Loy for the movie Kabhi Alvida Naa Kehna . The song was listed in the top charts in India, helping propel Shafqat into stardom. He was the voice behind the critically acclaimed song "Yeh Honsla" [sic] in the Bollywood film Dor . He sang background for the films Hello and Mumbai Cutting . His songs "Mora Saiyaan" and "Tere Bina" were featured in Nagesh Kukunoor's Hyderabad Blues 2 . Tabeer is the debut album by singer Shafqat Amanat Ali,launched in 2008. His vocals in the song "Dildaara" from the movie Ra.One fetched him a nomination for Filmfare Award for Best Male Playback Singer for 2012. Recently he sang "Raske Bhare Tore Naina" for the 2013 movie Satyagraha starring Amitabh Bachchan, Ajay Devgn, Kareena Kapoor, Arjun Rampal and Manoj Bajpai in lead role. He was also featured on MTV Unplugged Season 2. Rahat Fateh Ali Khan, is a Pakistani musician, primarily of Qawwali, a devotional music of the Muslim Sufis. He is the nephew of Nusrat Fateh Ali Khan and son of Farrukh Fateh Ali Khan and also the grandson of Qawwali singer Fateh Ali Khan. In addition to Qawwali, he also performs ghazals and other light music. He is also popular as a playback singer in Bollywood and the Pakistan film industry. Fuzön is a pop rock band from Karachi, Sindh, Pakistan formed in 2001. The name was derived from fusion, as the former vocalist Shafqat Amanat Ali describes the band as a fusion of Hindustani classical and modern soft rock music blended with the Sufi Style of singing. Ustad Amanat Ali Khan (Urdu: اُستاد امانت علی خان ‎), was a Pakistani classical and ghazal singer, from the Patiala gharana. Singing duo of both brothers Amanat Ali Khan and Bade Fateh Ali Khan were together honoured with the 'Pride of Performance' award by the President of Pakistan back in 1969. He stands with great singing icons like Mehdi Hassan and Ahmed Rushdi and left behind hundreds of classical and semi-classical songs for the public to remember him by. Ahmed Jahanzeb Usmani is a Pakistani pop singer and composer. Known as AJ and Wonderboy as he started at very young age, he was born in Karachi, Sindh, Pakistan. Jahanzeb is one of the few singers of the country, who have been trained in classical music and that is why he mostly sings soul stirring slow songs. Jahanzeb was trained under the guidance of Ustad Rais Khan, who made him his shagird (pupil) in a ceremony called Rasm-e-Gandha Bandhi held at the Sheraton Hotel in 1988. The ceremony, one of its kind to be ever held in Pakistan, was attended by celebrities, dignitaries and media people. Dama Dam Mast Qalandar is a spiritual Sufi song written in the honour of the most revered Sufi saint of Sindh, Lal Shahbaz Qalandar (1177–1274) of Sehwan Sharif. The original poem was initially written by the 13th-century Sufi poet Amir Khusrow, then further modified by Bulleh Shah in the 18th century. Coke Studio India, officially titled Coke Studio @ MTV, is an Indian television programme, which features live studio-recorded music performances by various artists. Coke Studio combines myriad musical influences, from Hindustani, Carnatic and Indian folk, to contemporary hip hop, rock and pop music. It is one of the most popular music programmes in India. It is an Indian adaptation of the Pakistani show Coke Studio. Shani Arshad is a Pakistani playback singer, songwriter, film music director and record producer. He has composed music for various television serials and films including Main Hoon Shahid Afridi and Na Maloom Afraad (2014). The Producers Guild Film Award for Best Male Playback Singer is given by the producers of the film and television guild as part of its annual award ceremony to recognise the best Indian film of the year. Following its inception in 2004, no one was awarded in 2005 and 2007. MTV Unplugged is an Indian music television program showcasing musical artists, generally playing their works on acoustic instruments. The songs featured on the program are usually those released earlier by the artists. Sabir Zafar is a leading and prolific poet and lyricist in Pakistan. He has written songs for many Pakistani films, singers such as Nazia Hasan, Sajjad Ali, Ali Azmat and his band Junoon, as well as many successful drama serials. He was awarded a Tamgha-e-Imtiaz by the Government of Pakistan. Sahir Ali Bagga is a Pakistani singer, music director and composer from Lahore, who composes music for Lollywood and other independent singers. Imran Muhammad Akhoond is a Pakistani guitarist, music composer songwriter. He is far famed as a Lead Guitarist for renowned Pakistani Pop Singer, Philanthropist and humanitarian Shehzad Roy. His incessant attitude towards exploring different Genres of music and the knack of fusing Eastern and Western music has earned him a reputation of one of the most aspiring musicians from Pakistan in different arenas around the Globe. Rahat Fateh Ali Khan is a Pakistani singer, who has sung several songs in Pakistan and India, including the Pakistani film and drama industries, as well as Coke Studio and Bollywood. He is a well-known Qawwali singer, and has also sung many national songs and ghazals. ↑ Kazimi, M. R.; Kāẓmī, Muḥammad Raz̤ā (25 October 2007). Pakistan Studies. Oxford University Press. p. 251. ISBN 978-0-19-547229-5 . Retrieved 18 August 2011. ↑ "i wish i could learn to play Spanish guitar". ↑ "Youth in Pakistan want peace and respect". The Times Of India. ↑ "Shafqat in India to record songs". ↑ "The Shankar-Shafqat concert in Delhi". The Times Of India. 11 February 2011. ↑ "The voice behind Mitwa in KANK". Bollywoodhungama.com. 19 July 2006. Retrieved 2011-06-28. ↑ "Fuzon & Shafqat to Do Songs for Mumbai Cutting". ↑ "Mumbai cutting is one film with 11 stories". ↑ "I didn't get my due". The Times Of India. 6 March 2010. ↑ "Chords and Nodes". The Hindu. Chennai, India. 1 November 2008. ↑ "Mitwa man's first solo album". ↑ "Pak singer Shafqat launches new album in India". Archived from the original on 14 June 2012. ↑ "Tabeer". Radioandmusic. Retrieved 25 October 2015. ↑ "Music review:Kyun Dooriyan(Shafqat Amanat Ali)". ↑ "Famous Bollywood Singers visit Chak 89 – Rahat Fateh Ali Khan and Shafqat Amanat Ali". ↑ "Shafqat Amanat Ali ready for 'Dama Dam Mast Lahore Qalandars'". Faizan Lakhani. Retrieved 31 March 2017– via Geo News. ↑ "Rahat, Shafqat jointly release 'Imtehan Hai Imtehan'". ↑ "Tu Hi Tu Hai Song Info". gaana . Retrieved 26 July 2015. ↑ "'The Dewarists' to make a musical return". DNA. 6 October 2012. Retrieved 25 October 2015. ↑ "Is Shafqat Amanat Ali's 'Main Nai Jaana Pardes' the best track in 'Tevar'?". DailyTimes. 4 January 2015. Retrieved 25 October 2015. ↑ "Tevar music review: Superman and Let's Celebrate stand out in a mediocre album by Sajid Wajid!". Bollywoodlife.com. 11 December 2014. Retrieved 25 October 2015. ↑ "Rahat Fateh Ali Khan Wins Best Playback Singer Award at 56th Filmfare Awards 2011". ↑ "I'm thrilled to be nominated for the IIFA Awards". ↑ "GIMA Awards 2011 announced". 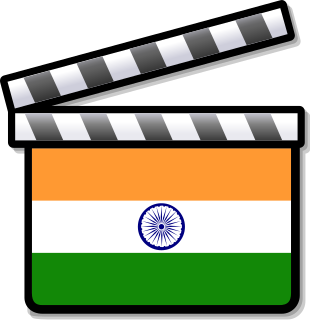 ↑ "Annual Global Indian Film Awards Nominations and Winners :". Bollywoodhungama.com. Retrieved 2011-06-28.